This is not the original Jeppesen CR Manual as it is no longer in production. It is a reprint of open source material but does adequately cover all aspects of CR computer use. 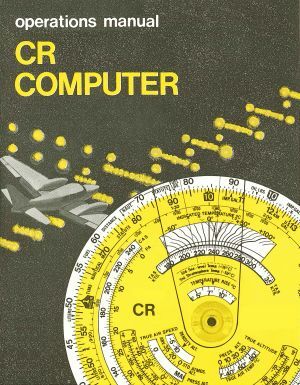 Refer to CR Computer Manual/Workbook as a brilliant visual aid for quick references to private and commercial maneuvers. It shows you how to get the most from your CR Computers. Comprehensive and easy to use, the 96-page manual provides clear diagrams and over 640 practical problems (with solutions) to make you an expert in no time.